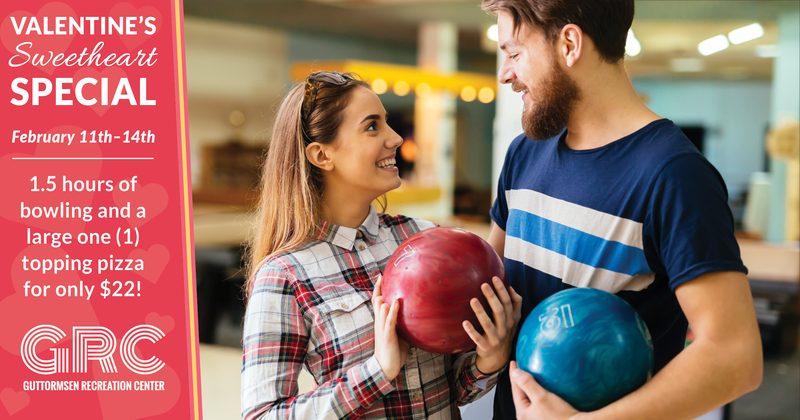 Bowl Your Love Over with this Valentine’s Day Special! Contact us today at (262) 658-8191 for more details. **Offer is only valid February 11th-14th, 2019. Please call for available times. Lane reservations welcome.